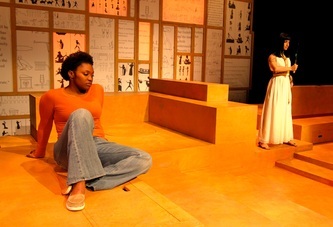 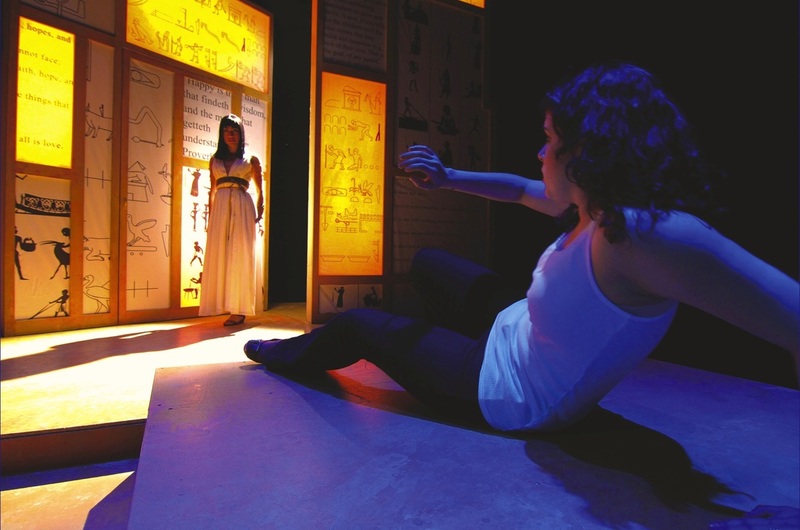 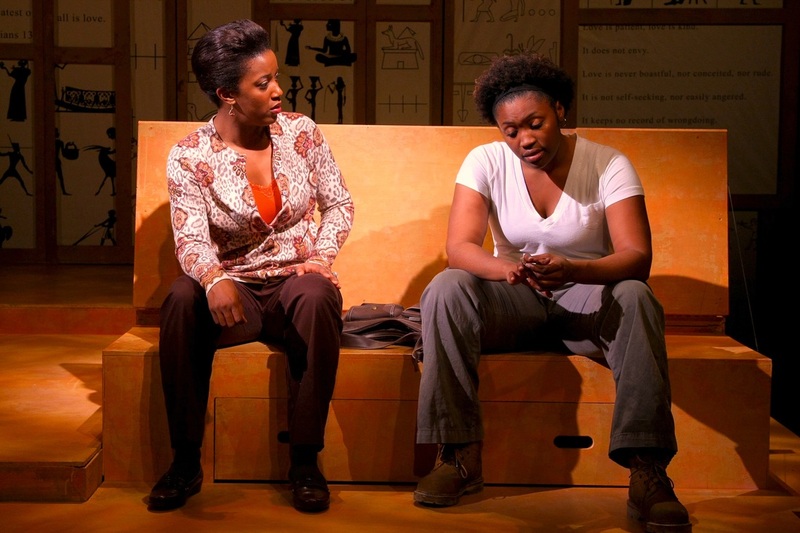 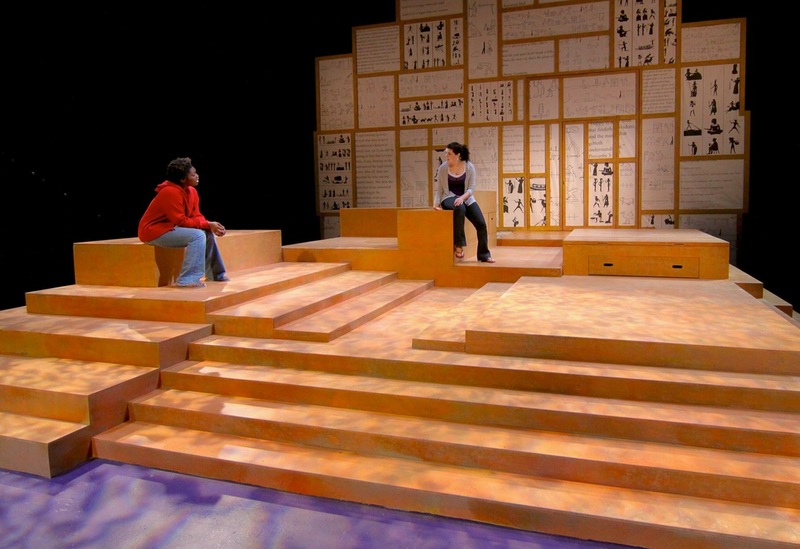 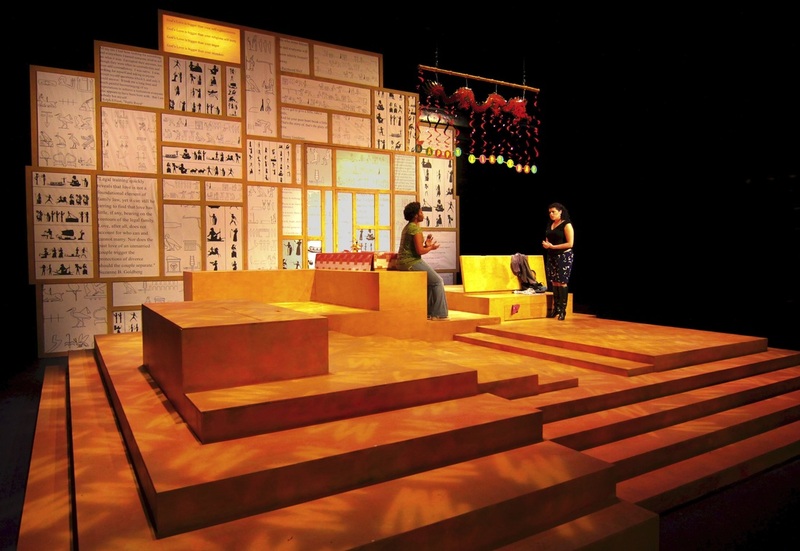 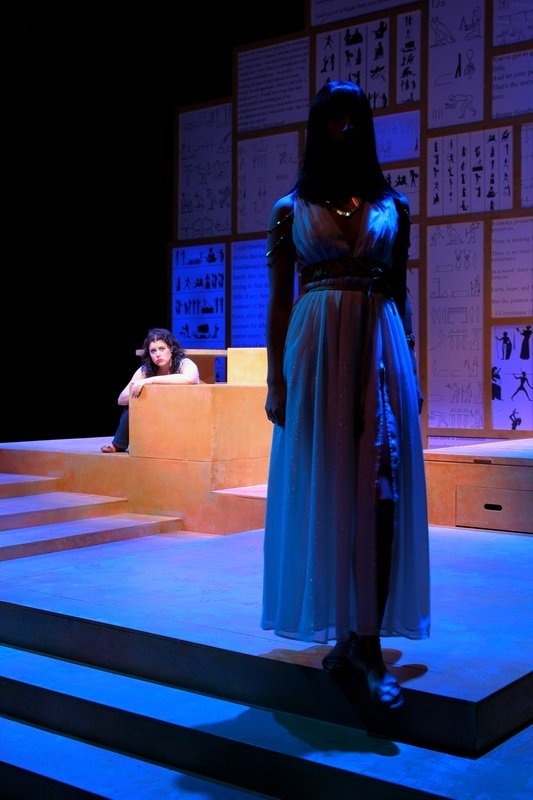 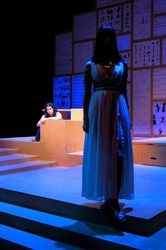 A new play by Lisa Huberman, Egyptology traces the lives of Cate and Sophie. 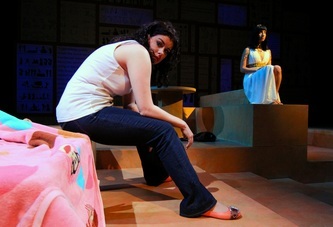 The former couple were raising a child together until Sophie left Cate, married Charles, and put severe limits on the interaction Cate can have with their daughter, Maddy. 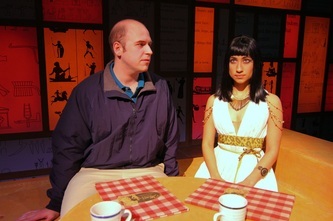 Cate, an egyptologist, leaves for a research trip only to find that Sophie has used the opportunity to spirit Maddy away. Cate and Charles must band together (with the acerbic Hatshepsut, Cate's hallucination/spiritual guide in tow) to find the missing child. 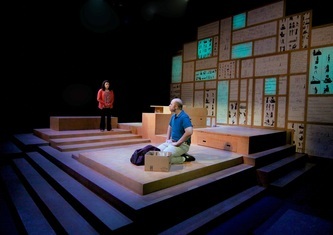 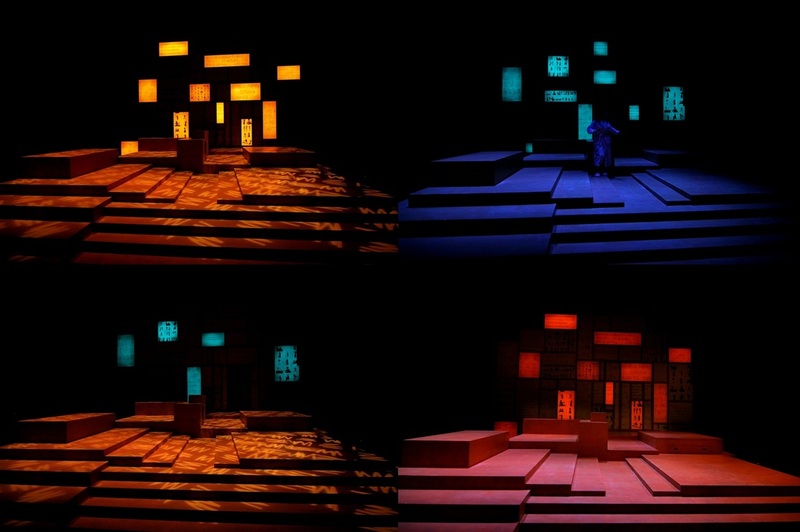 This production uses a large light box wall to help define the space, tying different colours to locations. 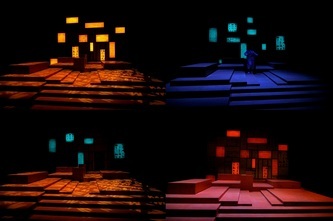 The light boxes also use subtle chase effects to lead audience through the transitions.